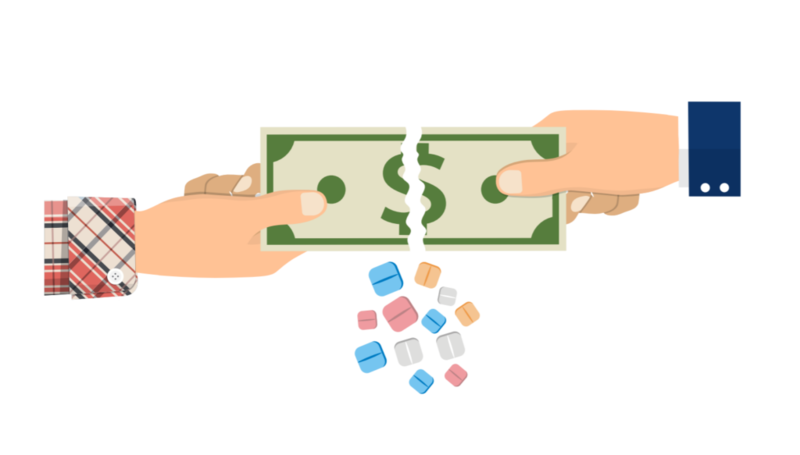 Prescription drug overpayments (also known as “clawbacks”) occur when commercially insured patients’ copayments exceed the total cost of the drug to their insurer or pharmacy benefit manager. While the practice has been acknowledged and discussed in the media, it has never been quantified in large samples. We use pharmacy claims data from a large commercial insurer, combined with data on national average drug reimbursements, to identify claims that likely involved overpayments. In 2013, almost one quarter of filled pharmacy prescriptions (23%) involved a patient copayment that exceeded the average reimbursement paid by the insurer by more than $2.00. Among these overpayment claims, the average overpayment is $7.69. Overpayments are more likely on claims for generic versus brand drugs (28% vs. 6%), but the average size of the overpayment on generic claims is smaller ($7.32 vs. $13.46). In 2013, total overpayments amounted to $135 million in our sample, or $10.51 per covered life. With over 200 million Americans commercially insured in 2013, these findings suggest the practice of overpayments may account for a non-negligible share of overall drug spending and patient out-of-pocket costs. The interactive graphic below shows how frequently the co-payment exceeds the price of commonly prescribed drugs, and provides the average overpayment per drug. Learn more about copay clawbacks in the video below.